A colored plaque is giving to the first, second, and third place overall finisher for men and women. A 1st, 2nd and 3rd place Silver Metal is given in men’s and women’s divisions in all age groups. 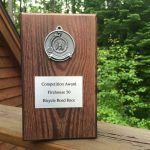 First time competitors receive a commemorative Competition Award plaque to which year tags can be added. A color plaque is awarded to the 1st place finisher in individual men’s, individual women’s, 2 person men’s, 2 person women’s, 2 person mixed, 4 person men’s, 4 person women’s, 4 person mixed, and tandem. A 1st place Silver medal is awarded to men’s and women’s divisions in all age groups. A color plaque is awarded to the 1st place overall winner for men and women. A 1st place silver medal is awarded for men and women divisions in all age groups. 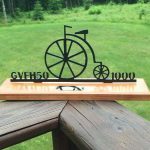 Those that have competed in a previous Firehouse 50, Ride the Divide (Fantasy 50) or Time Trial events will be eligible to receive a commemorative pin once they have accumulated 500 miles. 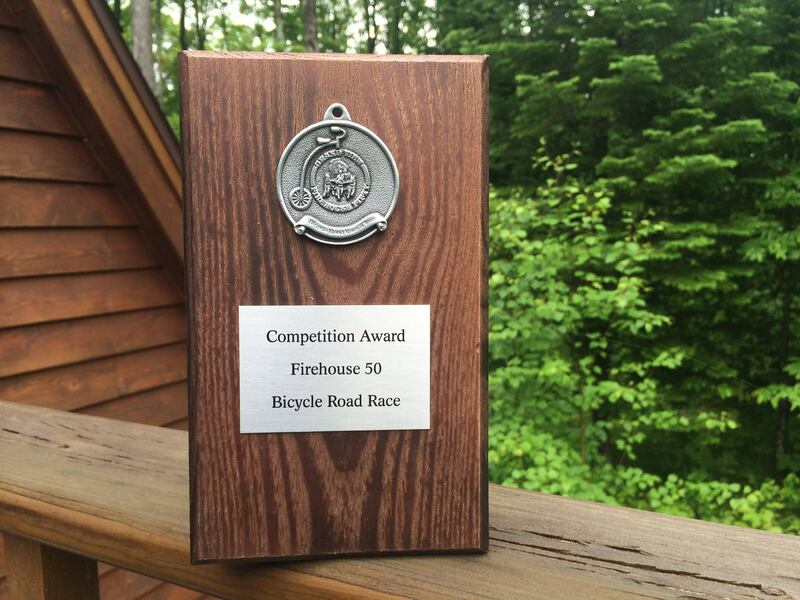 Those that have competed in a previous Firehouse 50, Ride the Divide (Fantasy 50) or any Time Trial events will be eligible to receive a commemorative trophy once they have accumulated 1,000 miles. A color plaque is awarded to the 1st place overall finisher for men and women. A 1st place silver medal and 2nd place bronze metal is awarded to men and women divisions in all age groups. First through sixth place ribbons are awarded to men and women in age 3 through 9 groups. A 1st place Bronze medal is awarded in mens and womens divisions in remaining age groups. 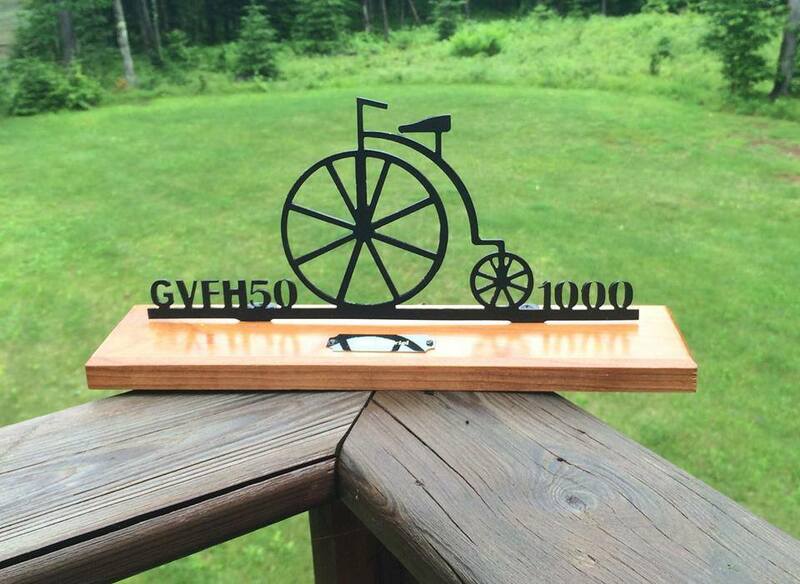 Athletes who compete in both the FH50 and 15K are award gold Dual Competitor Medals.